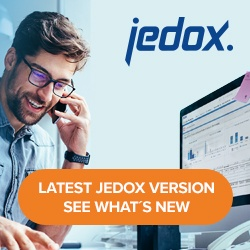 Jedox Integrator (ETL) can now be enhanced with customer-defined components, such as the connection and an extract to a specific ERP system, or a transform for complex data manipulation. An ETL project consists of different components that are linked together. Each component belongs to one of these so-called scopes: connection, extract, transform, function, load, or job. For each of these scopes, the Jedox Integrator Server is shipped with a set of standard component types, such as a connection of type File. A functional description of the different component types can be found in the Jedox Integrator articles in the Jedox Knowledge Base. It is possible to create new components for any of the scopes. The definition of an ETL project is done in a specific XML notation. It can be downloaded from the Jedox Integrator component to a file. For each component type, an XSD (an XML Schema Definition) is validated against the project. Each execution (an ETL job, a data preview, or a component test) is performed in one separate thread. No compiling of the components is done before or during the runtime. As a first step of an execution, the configuration of the required components is read out of the ETL project XML definition. Name: unique name of the component (note that extracts and transforms have a common namespace). Class: the Java class that implements this component. A component type can have additional parameters, which are used each time this component is used in an ETL project. The component can also have an attribute status=”experimental” or status=”deprecated”. It is possible to use these components, but they are not guaranteed to work. Relational connections have 2 additional attributes, jdbc and driver, which define the JDBC connection string. Additional components have to be registered in a file also named component.xml in an arbitrarily named subdirectory of <etlserverpath>\config\. You should not change the standard component.xml file, because it will be overwritten with a new setup. You can also rename the file <etlserverpath>\config\customer\component_template.xml. We describe here a well-suited development environment based on Eclipse, although of course it is also possible to use other development IDEs. It allows you not only to develop but also to test the components directly from the development framework. The Eclipse project “customdemo”, which is a sample Maven project for the development of custom ETL components. A Jedox Installation, including Jedox Integrator in the version for which you want to develop a component (Note that it’s not required to have the Jedox services running; only the access to some libraries is required). Each component has to read its configuration by parsing the XML document of the ETL project. This is done in the configuration phase, before the execution is processed (Method init()). During the processing of an execution, the role of a component depends on its scope. For the implementation, you need at least the standard ETL package etlcore.jar (com.jedox.etl.core), which contains the interfaces above. The standard ETL components are part of the package etlcomponents.jar (com.jedox.etl.components). They can both be found in directory <etlserverpath>\WEB-INF\lib. Note that the examples are made as simple as possible to give you the main ideas on how to develop your own components. Configure the build path of the project: add (under libraries) the external class folder <etlserverpath>\WEB-INF\lib in order to add all dependent libraries. You can perform a test of your ETL components directly out of Eclipse without deploying it in the Jedox Installation. Therefore, you can use the Standalone Client, which is part of the etlcore library. The commands are similar to those of the ETL Command Line Client. Set as argument –h to get a list of available commands. Copy the generated .jar file from the .\target folder of your Eclipse project to the directory <etlserverpath>\WEB-INF\lib_external. Note that you should not change the .\lib folder, because it will be overwritten with a new setup. Copy the directory containing the xml file from the folder .\target\config to <etlserverpath>\config\. All additional components can also be used within the Integrator module of Jedox Web., although the editor for such components is a simple XML editor. It is currently not possible to have a graphical editor for custom components. Normally, components can be used from the UI. However, if the components have status “experimental” or “deprecated”, you cannot create new components of this type via the Integrator module of Jedox Web.